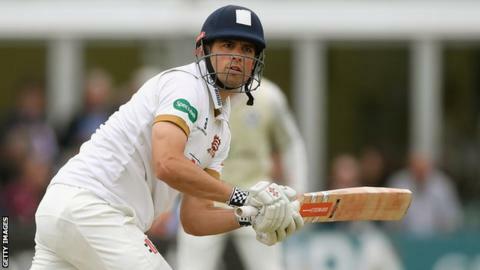 Alastair Cook has signed a new three-year contract with Essex after announcing his retirement from England duty. The 33-year-old opener is set to play his 161st and final Test against India at The Oval, beginning on Friday. Cook made his first-class debut for Essex against Nottinghamshire in 2003, and helped the side win the County Championship title in 2017. Essex head coach Anthony McGrath said Cook was "a role model" for youngsters. "He's one of the best batsmen in the world and he's so important for us both on and off the pitch," he added. "He has the ability to change a game with his batting and that's something everyone wants in their team." Cook, who has scored a 12,254 Test runs and made 32 centuries - both records for England, said he cried as he told his England team-mates he would be quitting the international game.